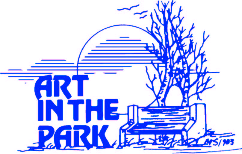 The "Art in the Park" art festival is held each year at Marathon Park, Wausau. Over 30,000 people attend this two day art festival which is held the weekend after Labor Day. Over 120 screened exhibitors from throughout the U.S. offer original fine art & handmade crafts. Enjoy pottery, painting, photography, fine woodcraft, baskets, fabrics, florals, jewelry, stained glass, and so much more. WVAA members Art Exhibit on view both days in the Exhibition Building. A children's book illustrator signs books 11 am-1 pm in East Gate Hall. Food & beverages from local non-profit organizations are available.